Starting a musical act is painstaking and rewarding work, and it usually has a humble beginning. A few curious strums on a guitar can turn into a musical masterpiece. A few vocal riffs and improvisations can turn into a beautiful melody. These are the first steps of creating amazing music that should be shared with the world. But… what’s next? When is it time to get serious and take your talents to the studio? 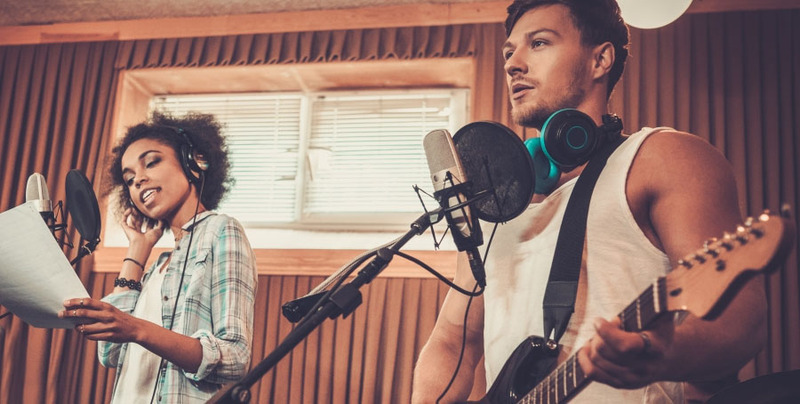 Here are a few signs that your musical act might be ready to move into the studio and churn out some incredible, shareable recordings. Your live shows are a great success. The most satisfying part of finding success as a musical act is watching your crowds grow from an empty bar of five of your friends to hundreds, if not thousands, of loyal fans. This is living proof that your music is inspiring people—and that’s what music is all about. But if your loyal fans can’t listen to quality recordings of your music outside of your shows, then you’re not taking advantage of your newfound fame, and you’re stifling your progression as a musician. Live shows can bring great success on a local level, but the biggest stage of all is the internet, and your musical act needs to take command of it. At Nashville Demo Factory, we’re passionate about creating incredible musical experiences—just like you are. We’re prepared to help your music live up to its full potential in every sense, and allow you to take control of your musical future by providing an affordable, interactive recording process. Garageband seems a bit… limiting. With every successful musical act, there comes a time when Garageband presets and canned instrument loops just don’t cut it anymore. Nothing beats properly-recorded live instruments, professional-level mastering, and a killer, radio-ready mix to make your song shine. In fact, a professional recording might be the only thing holding back your song from being successful. But it’s about more than success. An amateur recording doesn’t do your great songwriting and musicianship any justice. If you’re about following your dreams and producing quality work, you need a music production studio like Nashville Demo Factory—a studio that buys into your work as much as you do. Recording a demo has always been your dream. Everyone—musicians or not—should have an opportunity to make their greatest dreams come true. So if you’ve spent years writing, practicing, and refining your collection of songs, and you’re dying to record some of them, then you owe it to yourself to make it happen! However, you need a recording studio that is just as invested in your passion project as you are. There’s nothing worse than a recording studio that just wants to spit out a recording and collect your money. You need a recording studio that cares about creating amazing music—that’s what Nashville Demo Factory is all about. We’re dedicated to helping you realize your musical dreams by providing a recording and mastering experience that is affordable, transparent, and fun. Get started today and learn how Nashville Demo Factory can help you bring your musical dreams to life!